Philip Chu has enjoyed a whirlwind of a career as a software developer, a job that has taken him all over the country and overseas for a six-month stint in Hong Kong. Last fall, he decided to put down roots in Las Vegas, investing in a home and lifestyle at Juhl, a 344-unit, loft-style residential community in downtown Las Vegas known for its flexible floor plans and industrial, chic design aesthetic. Chu added that his home makes for the perfect work environment, and when he wants to step away for a cup of coffee, he walks to some of his favorite java spots, including publicUS and Makers &Finders. 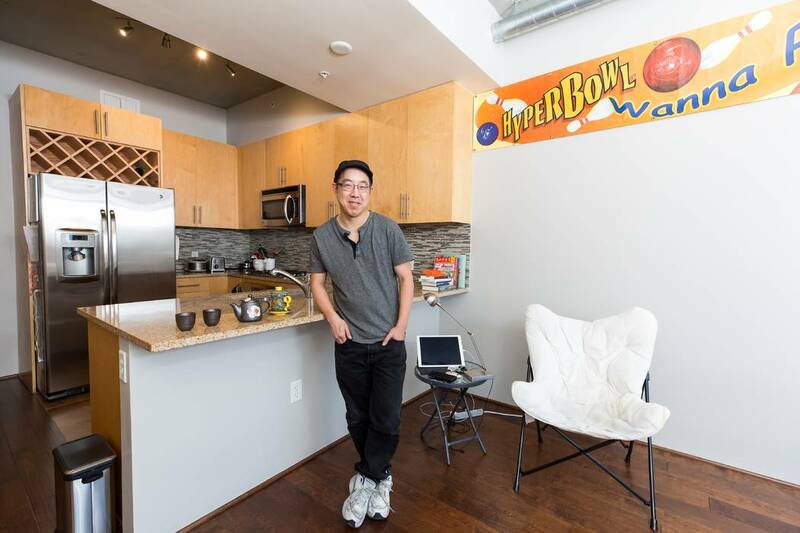 Other reasons that led him to buy at Juhl include upgraded appliances, spacious floor plans and proximity to Clark County Law Library and Writers’ Block bookstore, which are exciting destinations for bookworms like Chu. He also appreciates living in an area that is continuing to grow with new restaurants, bars and art galleries. With easy access to the more than 150 nearby restaurants, museums and attractions, Juhl’s lifestyle events allow residents the opportunity to explore some of their own community’s luxury amenities. They include an al fresco screening room; two-story fitness center with pool and Strip views; 10th-floor wine patio; summer kitchens and grilling stations; and an upgraded resort-style pool with cabanas and poolside grill. A nearby urban garden plot exclusively for use by Juhl residents makes it possible for them to grow their own fresh herbs and vegetables. Juhl includes dozens of floor plans that are one-of-a-kind, with studios starting in the high $200,000s. Private balconies, 10-foot ceilings, energy-efficient design and details, exposed concrete surfaces and mechanicals and upgraded fixtures and surfaces all combine to create Juhl’s cool urban vibe. Other amenities include 24-hour security; Wi-Fi in common areas; gated parking structure with assigned resident parking and electric vehicle charging station; co-op working space that caters to professional residents; and full service concierge.